The Dark Below is strongly rumored to be an expansion for Diablo III or World of Warcraft that will be revealed to the world at Gamescom. Multiple sites are reporting that Blizzard has filed a trademark for something called The Dark Below, believed to be either a World of Warcraft or Diablo 3 expansion. 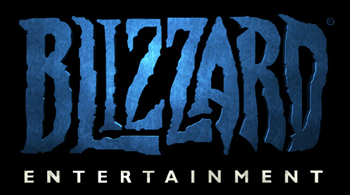 It seems to be a toss-up at this point: In July Blizzard teased "a special announcement that's sure to capture the attention of the Heavens, Burning Hells and all the shadowed places that lie between" at Gamescom, which certainly sounds Diablo-esque, but the Wowpedia notes that "the Dark Below" is actually referenced, albeit passingly, in World of Warcraft as "a place inhabited by demons, devils and infernal creatures." It all seems on the up-and-up and given the proximity of Gamescom the timing for a big announcement is certainly right, but I haven't yet been able to dig up a copy of the actual trademark filing. Most reports trace back to a post on MMO-Champion and Game Informer has a link to a copy of the filing on Scribd, but that's all we've seen so far. A search of the U.S. Patent and Trademark Office website (which I can't link because the session expires after a few minutes) turns up a pile of Blizzard-held trademarks, but nothing on The Dark Below. So while it seems very likely that this is in fact legit, we're calling this one a rumor - a very strong rumor - until we get the official say-so. We'll keep you posted.